Ratings agency Moody's has said that splitting Eskom into three entities may make the utility's cost structure more transparent, but the split does little to address the debt-laden power utility's financial challenges. The agency on Monday published a research note in reaction to President Cyril Ramaphosa's State of the Nation Address on Thursday, where he announced that Eskom would be split into three separate entities. The entities would all still fall under Eskom. The report is not a credit rating action. "[…] aside from very broad proposals to reduce financial stress at Eskom, the speech offered few concrete measures to overcome these structural challenges in the face of entrenched vested interests," said its author, Lucie Villa, a Moody’s Vice President and senior credit officer and lead sovereign analyst for SA. Villa said that while the unbundling paves the way for a more transparent group with "more clearly allocated revenue", the group's financial problems remain. Moody's, she said, will be watching to see see how the government supports the power utility, what increase in electricity tariffs it is awarded by regulator Nersa, how and whether cost cutting goes ahead, and whether the state will be taking over any of Eskom's debt. "Financial support to Eskom accompanied by measures that durably stabilises its financial health would be credit neutral," said Villa. By contract, financial support without savings measures would be credit negative for South Africa. Moody's has SA's sovereign debt at Baa3 with a stable outlook, one notch above junk status. 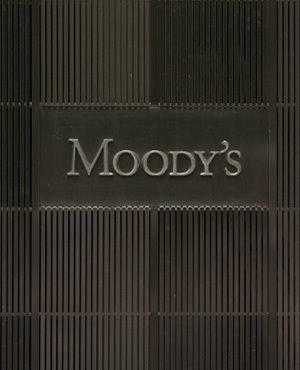 Moody’s is the sole major global ratings agency to have SA’s sovereign debt at above investment grade. If it were to downgrade SA to sub-investment grade - as S&P and Fitch have already done - SA would automatically be removed from the Citi World Government Bond Index, forcing asset managers to sell billions of rands' worth of SA bonds. In his address on Thursday Ramaphosa acknowledged that Eskom was a state of "crisis", saying that the state would support Eskom’s balance sheet. The president said Minister of Finance Tito Mboweni would provide further details in the Budget speech on February 20. Ramaphosa said this would be done without "burdening the fiscus with unmanageable debt". Villa said Ramaphosa's speech confirmed the government’s commitment to its policy agenda of reviving growth and job creation, but was short on details. "[...] structural rigidities in the labour market and corruption's impact on investment will remain challenges and take a long time to overcome." She said that, while Ramaphosa's policies would likely arrest the long-term decline in SA's growth potential, Moody's does not expect "any marked acceleration in growth in the next few years".